Sometimes, you just need a pop of color…. Tops. The simple part of an outfit that can simply make an outfit. With embellishments or patterns, stripes, cutouts, straps, or … yup, you guessed it, lace. Honestly, while I love lace, I’m really not a fan of plain lace tops. Ones that have an under-layer I’m a fan of; just plain lace, not so much. I must’ve been traumatized as a child with itchy lace because I put lace on and I’m sure I’m going to bust out in a red rash the second it makes contact with my skin. Anyway, I’m gonna get over my fear this season and try some lace. Hopefully you’re not as odd as I am and have no problem with this trend. 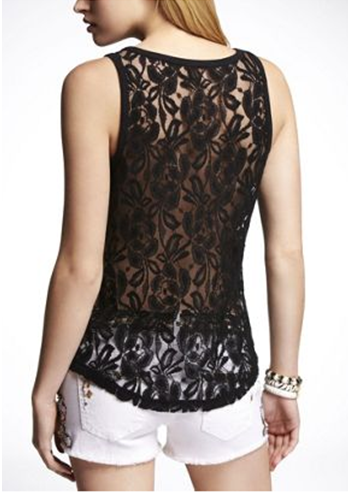 Here are the tops that I found that will help you embrace the lace. I found a lot of affordable options for these, so hopefully you will find one you can add to your wardrobe! Recently, I was at my local Saks OFF Fifth and overheard a woman comment “What’s with all the neon colors?” She was referring to the table of bright and colorful jean display. There was, in her defense, a very wide variety of colors. However, if you keep up with the trends you know that you will be seeing much, much more color in the coming months. Fashing blogs, magazines, and stores alike are all following this trend. So, what should you do? Easy! Embrace color this Spring! 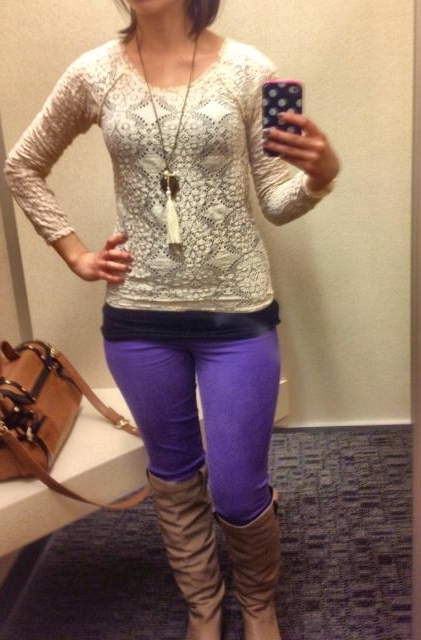 J Brand, Paige Denim, Hudson Jeans and even Express and Target have these hot pants!